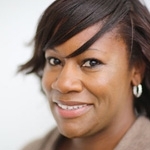 Kimberly Seals Allers is an award-winning journalist, author and a nationally recognized commentator, consultant and advocate for breastfeeding and infant health. A former writer at FORTUNE and senior editor at Essence magazine, Kimberly’s thoughtful and provocative online commentaries on motherhood and infant health and the intersection of race, class and culture, received over 10 million page views last year. In addition, Kimberly specializes in issues related to African American motherhood and breastfeeding. In March 2012, she launched Black Breastfeeding 360°, a first of its-kind online multi-media content library on the black breastfeeding experience. She is author of The Mocha Manual to a Fabulous Pregnancy (Amistad/HarperCollins) a hip and informative African American pregnancy guidebook and two other Mocha Manual™ books in the series. She is the founder of MochaManual.com, a pregnancy and parenting destination and blog for African Americans and former editorial director of The Black Maternal Health Project of Women’s eNews. Kimberly is a graduate of New York University and Columbia University Graduate School of Journalism. A divorced mother of two, she lives in Queens, New York City, with her children and two turtles. You have a voice. Amplify it! Mothers need education and support beyond the hospital setting. Today’s advocacy landscape involves engaging with mothers and families across a variety of channels. This may seem daunting for any individual or organization to manage on their own, considering the limited resources, the volume of competing conversations and the myriad of engagement channels out there. How can the breastfeeding movement effectively communicate critical messaging, easily build “brand advocates” and use media, social media and other avenues to amplify our voice across the social networks? This advocacy training presentation will explore six key steps to hone advocacy skills for amplifying breastfeeding messaging and outreach across communities. It will explore the fundamentals of powerful advocacy from creating compelling narratives to building a foundation of understanding. It will illustrate the role of media, the legislative process and community organizing. Attendees will be able to understand the power of storytelling and describe simple ways to increase the relevancy of their message and make sure the message is being received. It will improve cultural competency in speaking to various communities and attendees will have an interactive opportunity for role play and to being creating a personal or organizational strategic advocacy plan. The word communication comes from the Latin root word meaning “shared” as in a shared language. However, we often find that different practitioners—doctors, nurses, IBCLCs, etc.—each have their own “language”, which is often not the language of mothers and fathers. How do we actually develop a “shared” language? What are the tools needed to better understand the “speak” of mothers in your community? This presentation will outline the challenges of current common communication efforts, highlight best practices from across the U.S. and explain critical cultural nuances of words and communication techniques for mothers and fathers. It will offer a virtual toolkit for understanding the “language” of local parents and how to quickly start speaking that language to improve community engagement outcomes and breastfeeding goals. "A Fresh New Approach to Your Professional Growth"
Whoops! Please select your Country before clicking "Submit"
The GOLD Learning Lecture Library is a unique & convenient resource for Healthcare Professionals, Researchers, Students and other Educators looking to stay up to date on the latest evidence-based skills and practices. Country Category pricing has been determined by World Bank Economic Indicators. Proof of residency may be requested. Learn more about our Category Pricing Here.